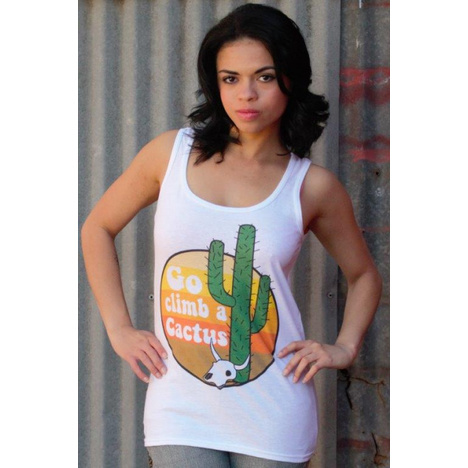 Express your attitude with this Go Climb a Cactus tank top! CARE INSTRUCTIONS: Machine wash warm with like colors, only non-chlorine bleach when needed. Tumble dry medium. Do not iron image.